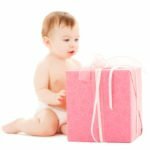 One of the things that is less often thought about as a baby shower gift is necklaces. Baby shower necklaces can either be a keepsake item, or something for the baby to gnaw on during those terrible teething months. Forget the pearls and diamonds, and save those necklaces for other special occasions. This should be all about mom and baby! So, if you shouldn’t buy pearls or diamonds, then what kind of baby shower necklaces are appropriate? Think about mom: What would symbolize motherhood? Babies chew, would it be safe to wear with baby? Will she remember that she got it at her baby shower? 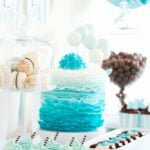 Here’s some baby shower necklaces that will fulfill all of the questions above! Natural and organic wooden crochet teething necklace: This necklace is beautiful, classy, and helpful! Since it has pink and blue in the necklace, it suits any gender, and suits mom well, too! Check out some of the cute styles, like this one, available from FrejaToys! Teething Bling heart pendant: This is a cute, pink heart-shaped pendant that both looks great on mom and s long enough for baby to chew on, or play with while nursing. Baltic Amber: Amber necklaces are a great, alternative, natural pain reliever and help with the pains of teething, and can also relieve aches and pains in adults, by way of absorbing the succinic acid that naturally occurs in the resin. This is a matching set for mom and baby! Barin Toys teething pendant: Just take a look at this adorable, bird-shaped pendant great for nursing and teething. Isn’t it cute? Chewbeads: Mommy chic and baby safe, these food-grade silicon beads can add a fashionable touch to any “mom” outfit, which we all know can use a fashion boost! Jelly Strands Hamptom Baby teething necklace: Another cute, fashionable necklace for mom, but a bit more chunky than the chewbeads necklace above. The Art of Cure organic necklace: Baby will have fun gnawing on this donut-shaped, fun-colored teething necklace, and mom will love it too! Sassy Baby elephant pendant: Who doesn’t love elephants? This is another pendant necklace for baby to enjoy. Sterling silver baby feet pendant: This one is not for baby at all, but mom needs something for herself, too! This necklace can be engraved with baby’s name and date of birth! Baby feet with initial charm: This is another necklace for mom only, and it’s cute to boot! It has the imprints of baby feet in the middle of a heart, and you can personalize it by selecting a letter charm for baby’s name! Baby shower necklaces can be a main gift if it’s a nice one, or just used as a nice decoration and bonus on a wrapped gift. However it is presented, it will be appreciated, especially once the mama-to-be really has the chance to use it to it’s full potential. With so many choices out there, it’s totally hard to choose! Every mom-to-be needs a special necklace that shouts “mom” to the world. 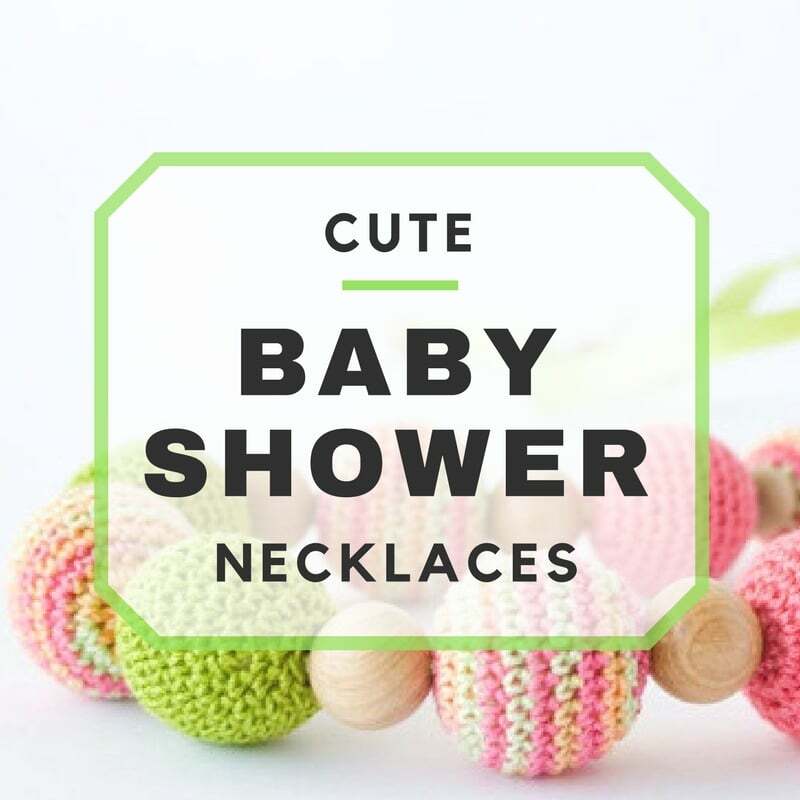 Assess her style and go with it, you’ll find a bunch of adorable baby shower necklaces that are sure to suit her personality and needs.